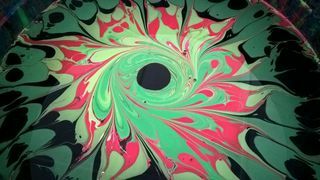 Bastion Paint has worked with one of the Worlds' leading marbling artists, Larissa Don, to formulate and test a range of paints suited to the marbling of paper and numerous types of fabric. Larissa has endorsed our paints and uses them to achieve her remarkable creations. We sell Marbling Acrylic Paints and the other chemical products required for marbling. These include Gel Powder, Fixative Powder and Surfactant. The following link takes you to a Larissa's Marbling site that is regularly updated with new marbling pictures and information. marbling.weebly.com/supplies.html If you email us we will send you our BEGINNERS GUIDE TO MARBLING or download it as a pdf from this web page. 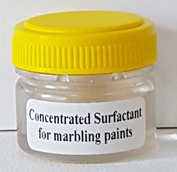 Surfactant (can be added to Marbling Paints to increase their spread). 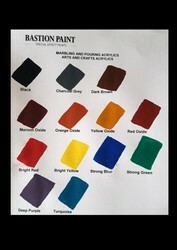 Our Metallic Paints are also suitable for Marbling. 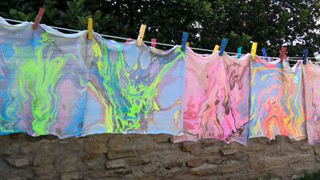 Our Bright Neon/UV Paints are also suitable for Marbling. 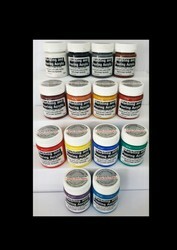 Our high quality Marbling & Pouring Acrylic Paints are perfect for Acrylic Pouring. Available in 14 standard colours. Create specialised works using our Metallic Paints or Bright Neon/UV Paints. 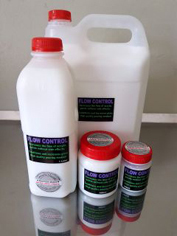 Use our Flow Control to get the perfect flow without impacting the paint strength or performance (often mixed in 1:1 ratio with our paints). 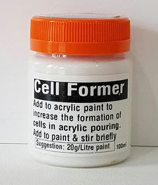 Add our Cell Former or Silicone Oil to achieve cells, feather streaks & borders. Finish off with an application of our glossy Clear Top Coat, Pearl Top Coat, Silver Sparkle Paint or Glitter Paint. And finally we have a wide range of general Arts and Crafts products to enhance you creations. 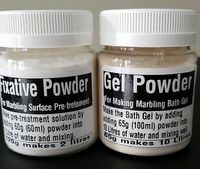 These include Pearlescent, Metallic, Neon and Glow-in-the-dark Pigments, Durable Glitter Powders, Liquid Colourants, Titanium Super White, Acrylic Paint Thickener, Acrylic Retarder, Medium Acrylic Gel, Acrylic Texturing Gel, Texturing Glass Beads and other products. 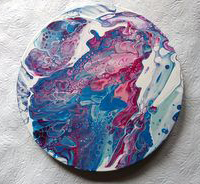 Although these acrylic paints can be used for normal arts and crafts applications they have been specifically formulated for marbling and pouring processes. The colour range consists of colours tinted with inorganic oxide pigments as well as colours tinted with organic dyes. Red Oxide is a deep rusty red colour. Maroon Oxide is a deep red–brown with a very slight hint of blue. Dark brown is a classic brown colour. There are no Pastel Shades available as marbling artists usually require strong colours. To create lighter colours you can mix any colours with our White but we also supply a concentrated White Pigment Dye that can be mixed into any of the colours.